In going with the cold weather we are having here in Texas, I thought it would be good to review a new take on "Beauty and the Beast". "Scarlet in the Snow" by Sophie Masson, is a different take on a very classic tale. This was such a good read that I read it in one day, because I didn't want to put it down. Yes, it does follow the classic tale, but has twists and turns thrown in that will have you guessing until the end. When Natasha is forced to take shelter from a sudden, terrible blizzard, she is lucky to see a mansion looming out of the snow. Inside it's beautiful: the fire lit, the table set. But there is no one there. And on the walls, instead of paintings, are empty frames. In the garden, she finds one perfect red rose about to bloom, a vivid splash of scarlet against the snow. Dreamily she reaches out a hand... Only to have the master of the house appear - a terrifying, gigantic creature who looks like a cross between a bear and a man - and demand vengeance on her for taking his rose. So begins an extraordinary adventure that will see Natasha plunged deep into the heart of a mystery. She begins to realise she has stumbled onto a great tragedy - a spell of revenge laid on the young man the Beast once was, devised by a powerful sorcerer. 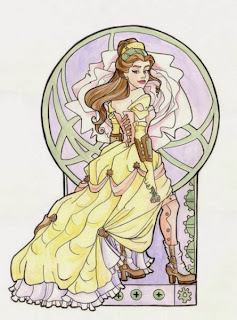 But even if she can break the spell, the Beast she has now come to love will be snatched from her. Natasha will have a long journey, and many ordeals, ahead of her before there can be a happy ending. 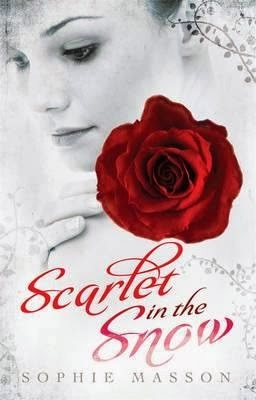 Inspired by two beautiful Russian fairytales - The Scarlet Flower (the Russian version of Beauty and the Beast) and Fenist the Falcon, Scarlet in the Snow is a beguiling mix of magic, romance, adventure and mystery." This is such an amazing read that you will want to read it again and again. The way the author takes two different Russian fairy tales and mixes them together will have you wanting to read the original ones. This is one not to be missed and goes great with this cold weather we are having.